What is a Padron and do I need one to get a NIE Number? Answer in simple terms: The Padron, known in Spain as the empadronamiento is similar to the electoral register in the Uk. It allows the local town hall to monitor how many people live in each town/city and directly affects the funding that town receives from the government. The British Embassy advises that it is obligatory by Spanish law to register on the padrón at the Town Hall where you reside. Registering at your local town hall, also known as the “Ayuntamiento” in Spanish benefits your town because your local government receives funding depending on how many are registered on the Padrón. The Padrón is a good way for the Town Hall to know how many people are living in the area. Some town halls may also ask you to complete a census form which allow you to vote in local elections. On the Padrón will be all the names of people living at the address. You can still be on the Padrón for a certain address even though your name is not on the escritura (title deeds) or rental agreement. If you wish to apply for your certificado, register your child for school, register at your local medico (doctor), transfer an imported vehicle to Spanish plates or buy a Spanish car then you will likely need a padrón. How do I get a Padrón? In some Town Halls they now charge a fee for processing your Padrón. It will not matter if your NIE number shows a different address however your escritura/rental agreement should be your correct address. You will receive a certificate showing your property details as well as the names of all who reside there. This is a quick process and you will be given your certificate to take home with you. Do I need to renew my Padrón? 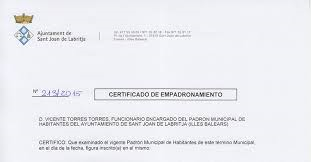 You may be asked for an up to date padrón ie dated within the last three months, by certain services or authorities eg the medical centre, Trafico, Social Services and if you are then it is simply a case of asking your Town Hall to reprint your padrón. Some local authorities are currently checking the accuracy of their padrón registers so you may be sent a letter enquiring as to whether you wish to remain on the padrón. If you do not answer to this, you may find yourself being removed from the padrón. 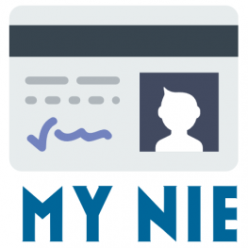 Need to get a NIE Number? Here at MY NIE Number Spain getting your NIE Number fast is our job! Contact us Today! 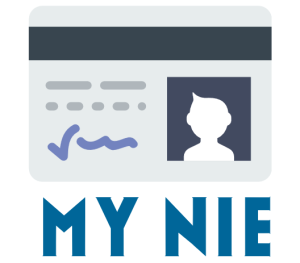 How do I pay my NIE Number tax at the bank? Next Next post: Do I need a NIE Number to get a Mortgage in Spain?